Today is Liz’s birthday!! At 83, she’s only three years away from 60 years on the throne – which would match the record set by Queen Victoria all those years ago. 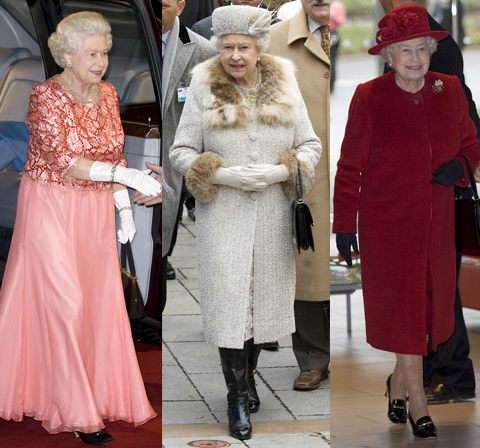 Not only has HRH Queen Elizabeth II done a good job being the Queen of all Queens but browsing through the Vanity Fair International Best-Dressed Hall of Fame, which apparently is ‘the highest honour a sartorial savant can receive. Inductees have a style sensibility that withstands the test of time,’ look who is not only on the list, but was actually inducted in 1958 – yes, Queen Elizabeth II. This means she’s been a fashion staple for 50 years! Impressive. The list makes interesting reading as it doesn’t just contain the usual role call of so-called fashionable celebs; it really does encapsulate characters that have brilliant and very self-assured personal style. There are some famous names on there, such as Coco Chanel, Sofia Coppola and Lauren Bacall. She does always dress for an occasion and loves a block colour, ever present is her handbag and she is always perfectly groomed. 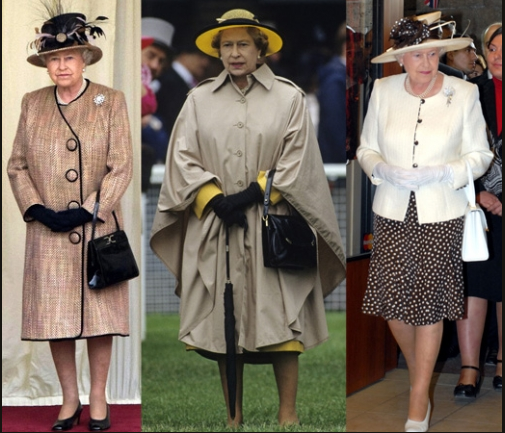 Liz has a superb personal style that alters with the decades but never strays from her recognisable look; she even made it through the 80’s pretty much unscathed. One of her most recent outfits, on an official visit to Slovakia this (middle above) involved fur and leather knee high boots. She’s 83! And pulls it off and looks amazing. Long live the Queen.